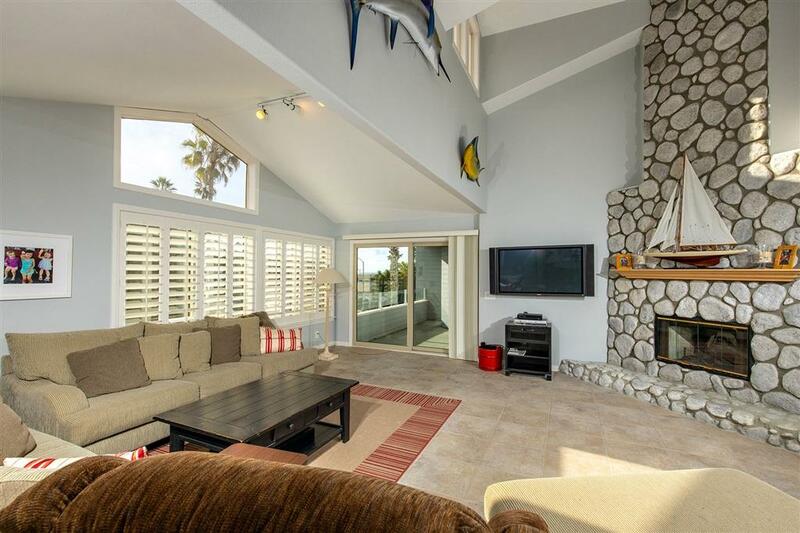 Open and bright, enjoy the unique design of this home as it unfurls over nearly 2,500 square feet of beach home luxury. A magnificent, floor-to-cathedral-ceiling stone fireplace anchors the living room and stretches up to the large loft - a perfect area for a wet bar or third bedroom. The kitchen has been remodeled with recessed ceiling lighting and new countertops/cabinets. 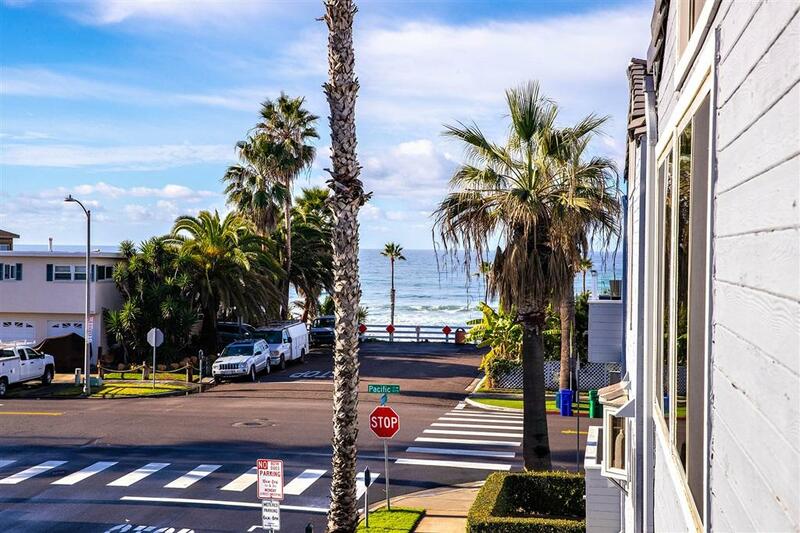 Whether through the peak ocean views inside or from the wonderful balcony water views, you'll never forget you're only across one... ... street from the beach. 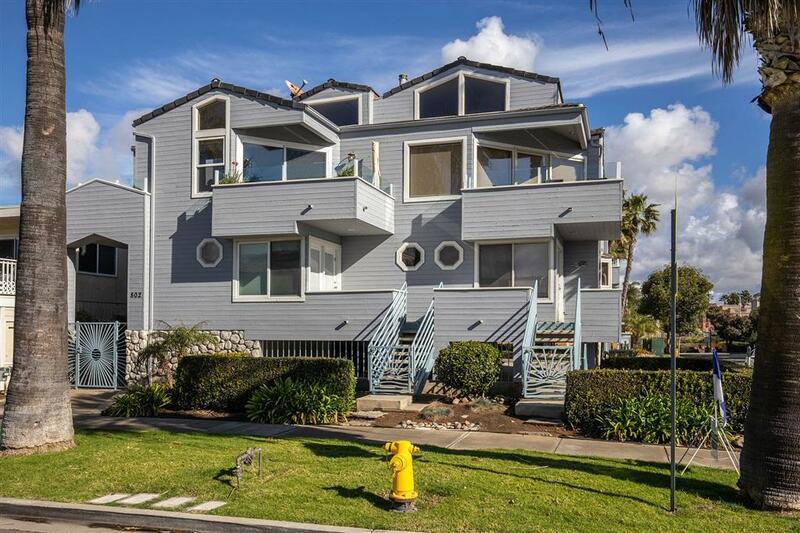 Downstairs includes two bedrooms and two baths. The large master retreat is complete with an expansive master bathroom including an oversize walk-in shower and a personal sauna. The laundry closet, with the washer and dryer conveying, is also on this level. The bottom level includes two large storage areas! 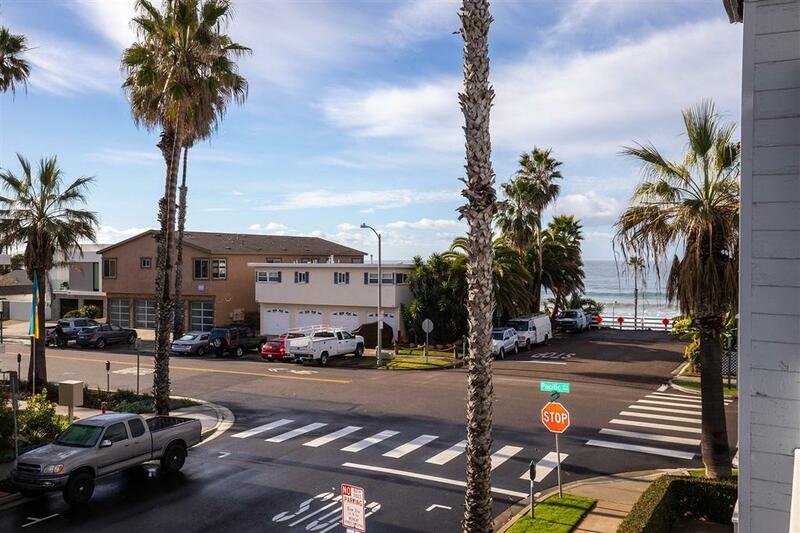 Located between the Oceanside Pier and Oceanside Harbor, this is premium beachside living.